You must make reservations at least 5 minutes in advance of the time at Gnocchi. Street parking is available as is public parking next door. SEPTA stop at 5th and South. 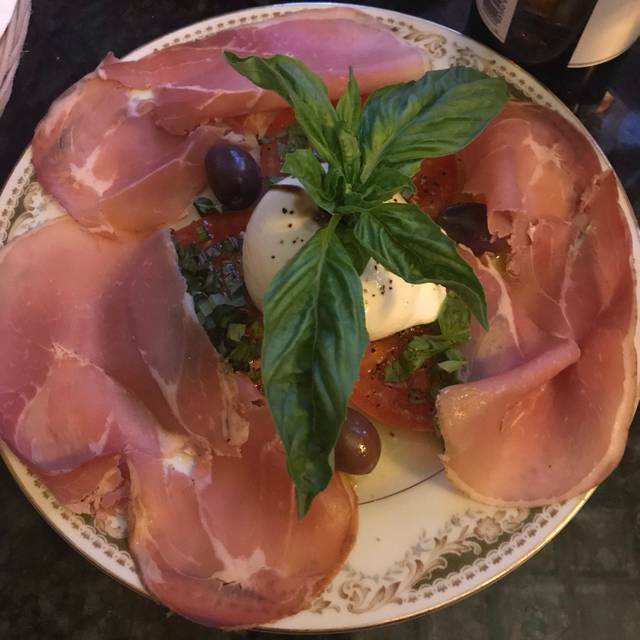 Creating Italian food from scratch with love in Philadelphia! Mussels served with red or white sauce, spice or blend. Choose a sauce: Red Sauce, White Sauce. Choose a style: Spice, Blend. Topped with fresh mozzarella and diced tomatoes. Served with romaine lettuce and croutons. Served with Italian dressings, Gaeta olives, fruits and cheese. With marinara and basil or bolognaise. Choose a style: Basil, Bolognaise. Lamb ragout with fusilli and smoked mozzarella. Topped with mozzarella and spinach and cherry tomatoes. Absolutely amazing, we were celebrating my girlfriends birthday and they treated us so nicely and gave us a free dessert with a candle and everything! Definitely will be back! We dined at Gnocchi this past Saturday to celebrate my parents’ 50th anniversary. 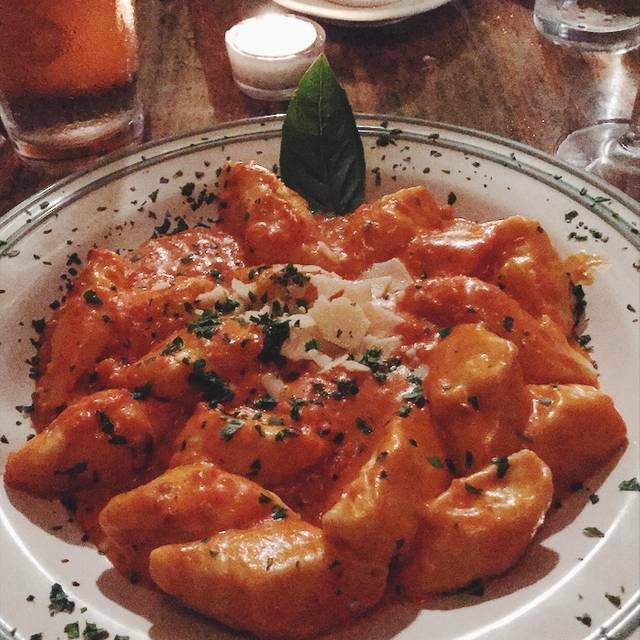 Gnocchi is one of our favorite restaurants and they did not disappoint. The food and service was outstanding and they made my parents celebration very special. Amazing! Would definitely go back in a heartbeat! This is my new favorite Italian restaurant. 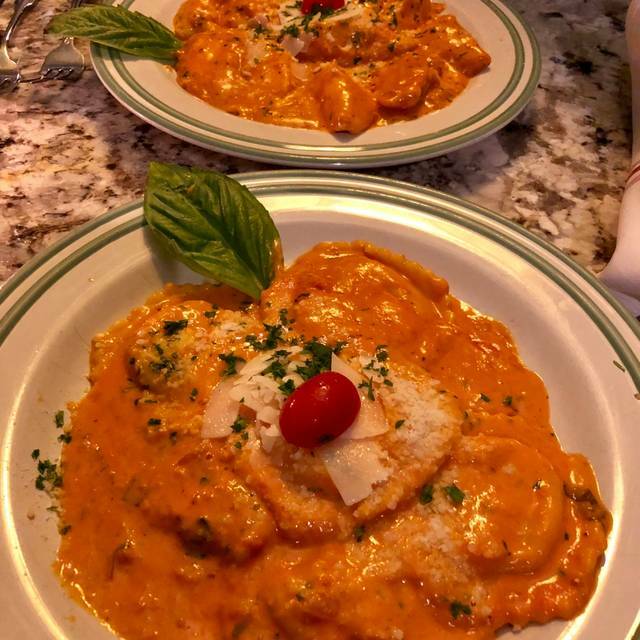 The gravy is terrific, the gnocchi are terrific and I have been there twice and loved everything I tried (It will sound otherwise, but I am really quite picky). I have had (with my wife) the tuna steak on an arugula salad, chicken parmigiana, chicken Florentine and Gnocchi entrees. 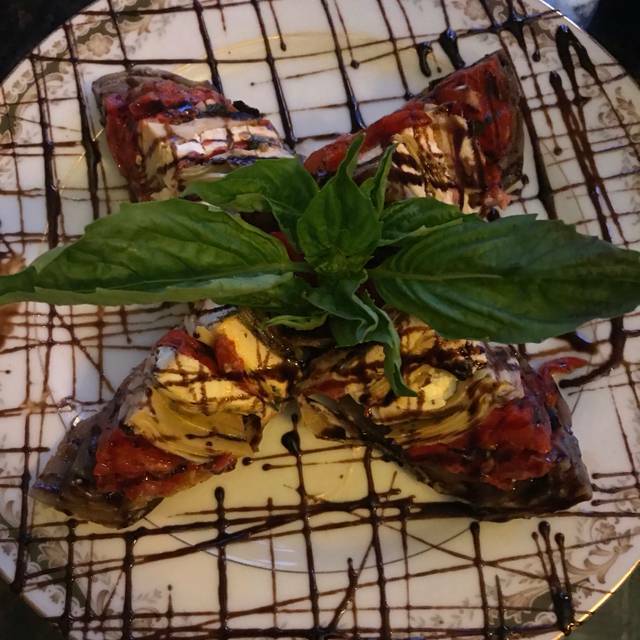 I have also had the eggplant, meatball and Portobello Mushroom appetizers. I loved them all. Warning - the meatball and Portobello appetizers are quite large (and very good). To me ingredients are everything. In an Italian restaurant I want good olive oil, great cheeses, good balsamic vinegar and homemade pasta. I also want a simple, basic delicious gravy. This place has it all. Basic great food. They also always seem to have several specials each night so the limited menu posted on Open Table is miss leading. Listen carefully because the specials are really special. We dine out 7 nights a week and this place will become one of my weekly stops. We were first timers and chose the restaurant as it is good for groups and had nice reviews. Some of the food is excellent (portobello mushrooms/ artichoke/ meatballs with linguini), while other dishes are meh at best (gnocchi, tuna, flounder). Portions are HUGE; our waitress did not guide us well in this respect. We were a table of 7 and could have EASILY shared 4 entrees (rather than the 7 we ordered). Also, specifically chose this restaurant b/c they served GLUTEN FREE pasta (called in advance and notes in reservation) and they were out. The flounder was a terrible disappointment. Also, the food from the kitchen was TERRIBLY slow. Only 2 tables for a 5.45 PM reservation and the kitchen spent more time sending out delivery orders than taking care of the people who were actually there. We'd go back if we were in the mood for meatballs with linguini as this dish was exceptional. Would skip most of the rest. Very nice BYO with attentive service and excellent pasta. From outstanding service to delicious food, this place is a must visit! We found a table at the last minute on a Sarurday night and really enjoyed this neighborhood restaurant. It was crowded with locals and the food was wonderful. They have a small menu, but probably ten fresh specials that were amazing. Next time we are in Philadelphia, we will make sure that we return. They make you feel welcome. Always a great experience at gnocchi. They go above and beyond to ensure we have a great meal and dining experience. One my favorites. Always fresh and delicious and the service is good. Took my girlfriend there for her birthday. Terrific food, great service. Lots of fun. I highly recommend this restaurant. We really enjoyed our dinner. Great service, and we really appreciated the menu recommendations with the appetizer meatballs and artichokes as my favorites. Entree specials were wonderful and all of us really liked our selections, with the lamb shank a standout. Very disappointing - we made a reservation at Gnocchi, and when we arrived the doorway was packed with people waiting for a table. That is fine (to a degree) and to be expected on a Saturday night - new people kept on coming on and pushing their way to the front. The gentleman working the door and seating parties was not keeping track of who came first, so the rude people that pushed their way past the not-so-rude people who had been patiently waiting (with reservations) were seated first. After waiting 30 minutes without being seated, we left. Service is absolutely terrible, and it is a shame because the food is good. Second time a situation like this has happened at Gnocchi. I have worked in the restaurant industry for over 15 years, it is clear this particular guy (who was involved in both situations) does not care in the least or is in a different world - an absolute circus. We had lobster ravioli, chicken parm, artichoke appetizer, and Caesar salad, all delicious. If you're thinking about going for the first time don't let you scant online menu deter you. They have about double that amount as specials. Can be a little noisy at times but very good. If loud noise is not for you, go there on less peak times. Great food, great service but it's always hot in there no matter what time of year. We had an amazing experience. The staff acted as if you were old friends and the food was outstanding! Would definitely come again for the gnocchi in blush sauce and tiramisu! Adil is great. Very attentive and fun waiter. We tried the tasting menu and it was amazing. Everything was very good. One of the top restaurants we have been to. $50 for a ton of food. Amazing service and good! Truly an amazing experience. Will definitely return. This place is not organized at all! We were missing a chair for 15 minutes for someone in our party. They explain that the servers all take care of you and that really means no one pays attention at all. Waited over an hour between our appetizers and meal. It was suggested we get a special and then they told us they were out of it over an hour later when they realized they hadn’t given us food. Then they brought the wrong meal for someone else in our party. There were only 4 people. Not a large party. So no excuse for messing up this much! Will likely not go back because of this experience. 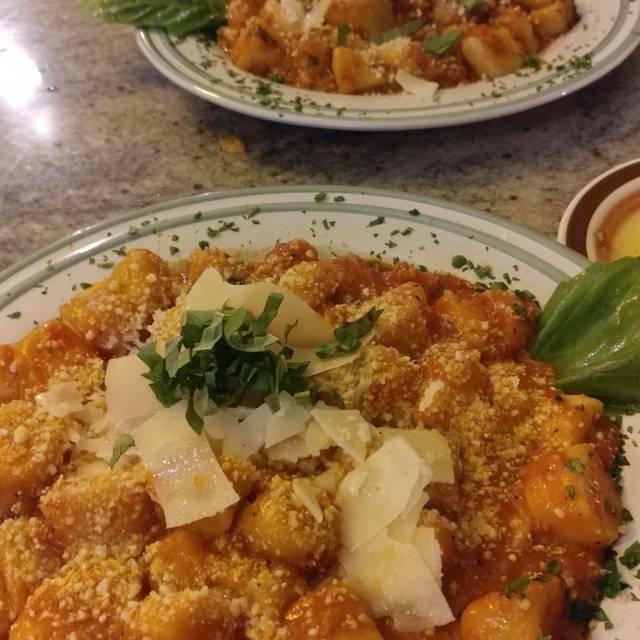 Every special is special, every gnocchi dish is heaven. I love that you are treated like family! Remember it's a BYO, and try the tasting menu. Just bring an appetite. The staff is friendly and attentive and the food is excellent. The noise level can be loud but everything else is so fantastic it didn't bother us too much. Excellent service.. Very attentive and personable. Appetizers filled the dish and were delicious. Wonderful portion sizes for our meals as well. We enjoyed everything we ordered. We were definitely NOT hungry when we left. Not a large menu but I like that they can focus on perfecting contents , plus they offer a healthy selection of fresh specials. Plenty of options. They were very accommodating and from what I observed, even offered family style options. Like that they are a byob. Their bread is amazing, too! My best dining experience in Philadelphia so far. Everything was amazing. We ordered a gnocchi special and the chicken parmigiana (which also came with gnocchi). The food was DELICIOUS and the wait staff friendly and helpful. Will definitely be back! Another superb meal at Gnocchi. All three of us had the specials and they were outstanding. Wait service by Adeel is second to none....he's a pros-pro! Gnocchi is a don't miss restaurant. Lobster ravioli and Gnocchi were out of this world! Loud atmosphere. Good service. Byob is a plus. Will definitely be back. Great experience, highly recommended! BYOB is an added bonus as well. The food was fantastic and the service was great. The owner was very funny and personable. - Insanely delicious gnocchi. possibly the best I’ve ever had. - Extremely loud. This wasn’t a problem for our party, but if you’re going with people who can’t tolerate that or you want to have a serious conversation, it’s going to be problematic for you. - They don’t advertise the tasting menu, you only find out about it in yelp reviews. - This is the first and only time I have ever complained about this, and the only reason why I am really taking a star away, but the tasting menu is just too much food. We were a table of four. We ended up with 6 apps (many of which we got two plates of), a pasta dish for the table that was split into individual portions (yet the size of a pasta dish), our own (full-size) entrée, and two dessert (each). Unfortunately, 3/4 of us needed to have all but one to two bites of our entrées packed up to go home, because we were so full from the food leading up to it. While this isn’t necessarily a bad thing, it kind of tainted the experience for us. 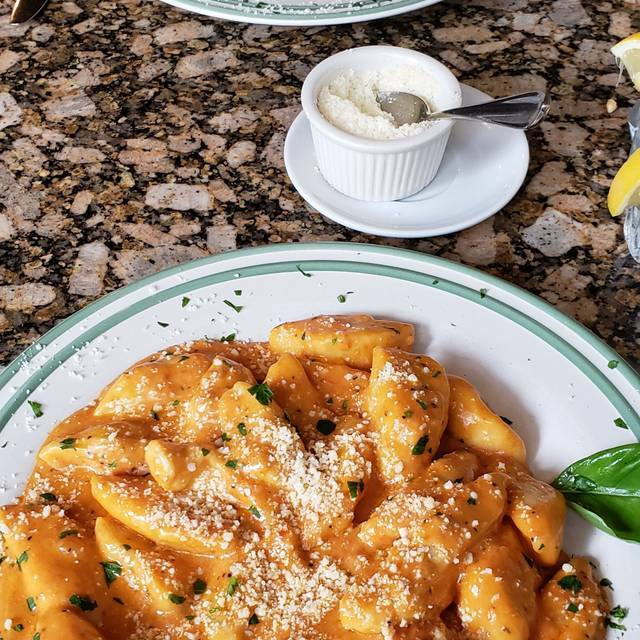 By the time you got the pasta, you can’t even fully appreciate the perfect pillowy goodness of the gnocchi because you are so full and there’s really no chance that you’ll actually be able to enjoy the entrée while you’re there. So yes, we did get a nice leftover bag. But at the same time, we left with our stomachs in pain from eating a gluttonous amount of food. While my chicken parmesan was delicious the next day, I’m sure it would’ve been even better that night. If this place had less appetizers as part of the tasting menu, it would be a five-star spot. Have the table pick 3 apps, bump it down to $40-45pp, throw it on the menu, and this spot would be 5-star. From the moment we walked in, to the moment we left, everything about this meal exceeded expectations. The generosity and humor from the staff made the delicious food even better. Adeel kept us laughing and made us feel like family. Will be back very soon! The food was amazing. The gnocchi special was incredible. The dining area had a comfortable atmosphere and the bathroom was very clean and nicely set up. The staff was extremely friendly and personable (and funny), adding to the experience. I would definitely recommend dining at Gnocchi if you like to eat and eat well. Excellent meal and wonderful atmosphere. Good value for quality. Staff was extremely courteous and attentive but almost to a fault. They were so concerned about good service that they actually interrupted the privacy of the dinner date that was the basis for the occasion. The manager and server came to the table literally every 3-5 minutes to ask if everything was OK or to fill the water glasses or to pour wine (which neither party wanted to drink any more), etc. These frequent overtures actually interrupted the flow of the conversation and privacy of the dinner parties. I sincerely appreciate their quest for excellent customer service which was duly noted but they overdid it and caused us not to fully enjoy the dinner date. Instead of the dinner parties focusing on each other, we had to focus on responding to the frequent questions and interruptions by the servers and Manager.